We’re officially living in the Jetson’s/Jimmy Neutron world. 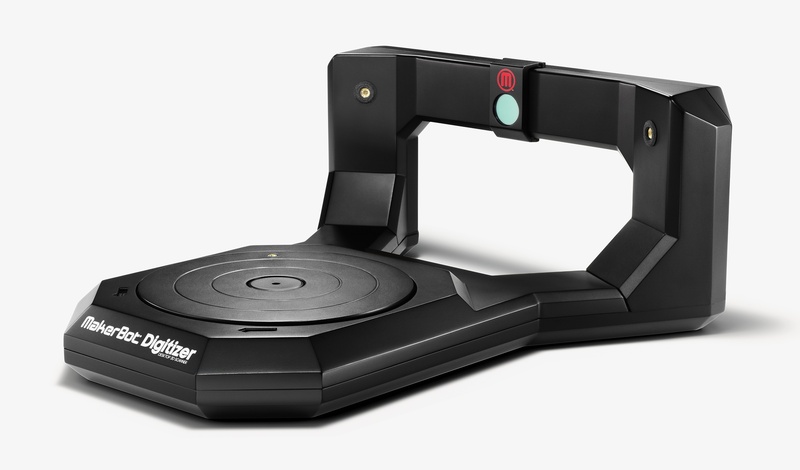 Makerbot unveiled today a device called the “digitizer” which makes replicating any object as simple as putting it on the platform, pressing a button, and sending it to the printer. If you enjoy this article (which you will), subscribe to our free newsletter (form on the right), and stay current on the coolest, latest technology. The technology behind the digitizer isn’t new; For decades, auto manufacturers have been using similar machines, some of which can scan and print metal, with accuracy to the Micron. We’ve even covered a device that can print books on demand. What’s amazing about the digitizer is that it brings instant replicating within the reaches of the hobbyists, if not the masses. Note/Clarification (12:02): Some readers commented on the use of “instantaneous” in the title. It’s all about frame of reference. Just as 3D printer use for product design is known as “rapid manufacturing”, I can refer to the replicator as “instantaneous”, because compared to the alternative, it is near instantaneous. 12 minutes, compared to the hours such objects would take in a CAD program. 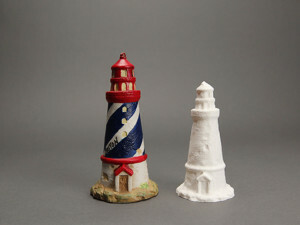 Just as the computer went from corporate machine, to hobbyist machine, to mainstream, 3D printing, scanning, and replicating has been getting more and more mainstream at a rapid pace. Once a device that cost tens to hundreds of thousands of dollars, 3D printing and rapid prototyping devices can now be had for as little as $300. The digitizer runs for $1400. If you’d like a digitizer to scan items, and a printer to print replicas, the combination of a Makerbot Digitizer and Replicater 2 will set you back $3600. Items are placed onto a spinning platform, like the tray in your microwave. The digitizer then uses two targeted lasers, and a 1.2 megapixel camera to scan your object as it rotates, capturing the detail and shape of it. Makerbot’s software then analyzes the data from the Digitizer, creating a 3D file from the scanning. According to Makerbot, it takes two clicks, total, and around 12 minutes. From there, you can perfect your object in a 3D object software like Autodesk Inventor, edit it, or print it right from the file generated by Digitizer. Just like scanning and printing any regular document. Think of the possibilities for this technology in the future, as printing becomes faster and less expensive. Running out of plastic forks and knives? Just scan, and print a few. Lost a few pawns on your chessboard? Scan one of the remaining ones, and print a few. Knowing how to design in CAD (computer-aided-design) software is no longer a necessity! If you enjoyed this article, subscribe to our free newsletter (form on the right), and stay current on the coolest, latest technology. Do you own, or use a 3D printer? Leave a comment.